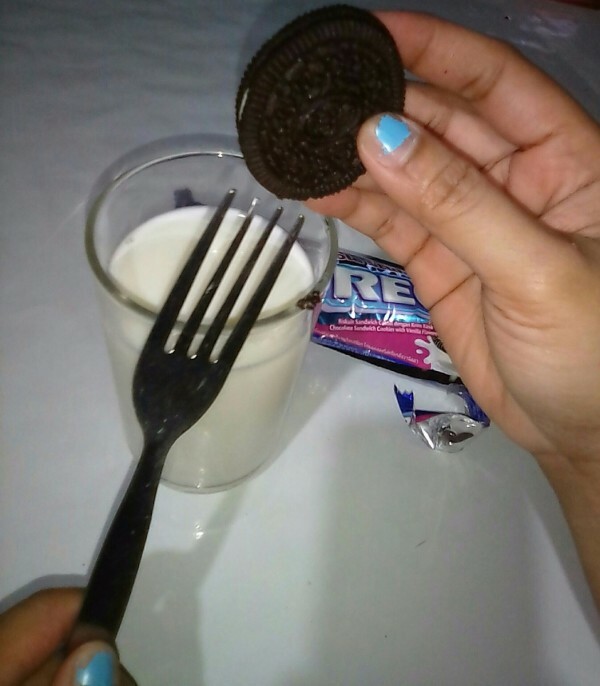 You can prevent dipping your fingertips in the milk while dunking Oreos by using a fork. 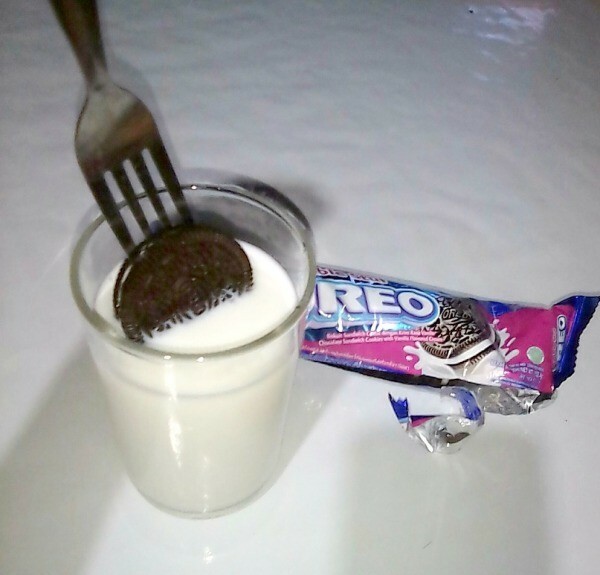 Use a fork to dunk Oreos in milk by poking the tines into the center frosting. 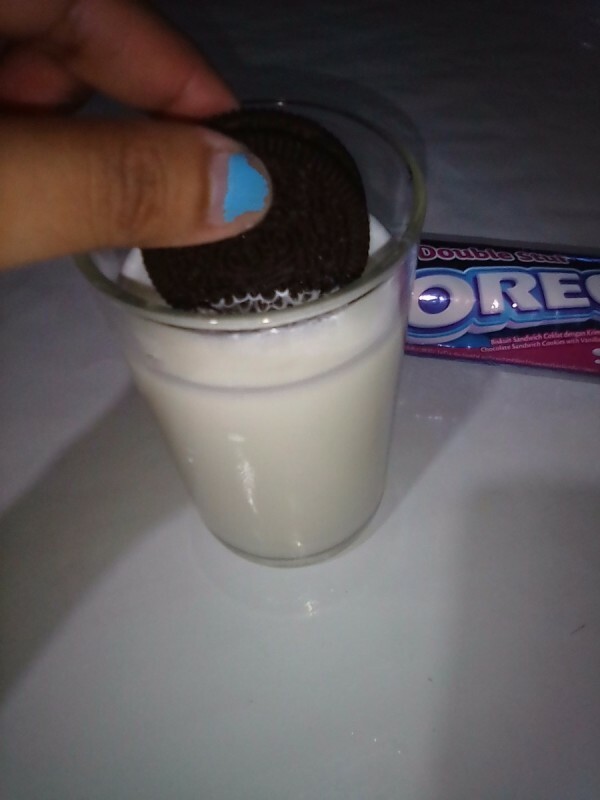 Dunking Oreo cookies with your kids is fun, but sometimes it can slip from your fingers when dunking it in the milk. That makes me irritable. So what I did is to use a fork. I just insert the fork in the center of the Oreo. This time, it won't slip off. Let's have a dunk!